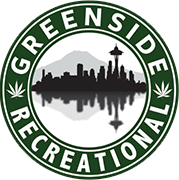 SeaTac’s Top Products is a new monthly article brought to you by Greenside Recreational. Below we feature top selling items from three distinct categories: flower, edibles and concentrates. Check back each month to see what’s popular for cannabis near SeaTac! Whether you’re new to the Washington State recreational scene, or an experienced legal pot head, you’ve likely heard of Artizen. Artizen Cannabis Company‘s dedication to maintaining quality control is achieved through the use of an in-house, hand crafted, artisan approach. Dutchberry is an amazing sativa hybrid that we offer in different sizes. We offer other strains from Artizen as well, including Blue Dream, Allen Wrench and Grape Ape. If you’ve used a vape pen in the state of Washington, chances are you’ve tried the Avitas co2 oil. Regularly a top selling item Greenside Recreational, Avitas Agriculture offers three distinct variations of their cannabis extracted oil: Sativa, Indica and hybrid. Avitas oil is so popular they offer a refill kit for all three different types. This way you can easily refill your current cartridge with Washington state’s favorite oil. We invite you to view our tour of Avitas Agriculture by clicking here. Seattle’s favorite cannabis edible for the month of November should come as no surprise. With fall coming in strong last month, bringing in the warm feelings of the holidays, The Goodship Company‘s Saigon Cinnamon Snickerdoodle Cookie was our top edible product. Envelop your tastebuds in the exquisite sweet warmth of Saigon cinnamon while you savor in the cookie’s light, buttery flavor. The striking medley of subtle spice and luscious chew texture will leave you hunting for crumbs. Please remember to enjoy responsibly!